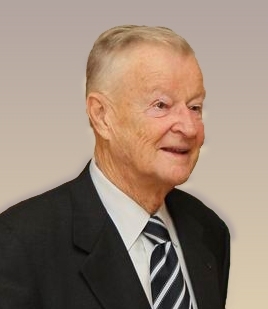 Fellow Trilateralist, Charlie Rose, interviewed one of the globalist kingpins, Zbigniew Brzezinski, on his January 25, 2012 show. Around 9 minutes, he said if the current path being pursued by the U.S. and Israel against Iran is continued, Israel will likely strike Iran, and the U.S. will be blamed, since they will get warning just as it starts happening, and they could have prevented such an attack. Around 18 minutes, he re-iterated what he said at a CFR speech in 2010, that for the first time in human history, ever since the French Revolution, virtually all of mankind is politically aware. Everyone I heard from in the alternative media took that as a recent thing, but he was talking about the past few hundred years, and it wasn’t about the globalists being fearful, necessarily, but about them being able to promote socialism based on a global awareness of injustices. Later on, he said that Russia could even be a part of NATO, under the right conditions. Around 28 minutes, regarding China, he said they are very patient and aren’t trying to become a hegemon, but are gradually trying to surpass the U.S., and said they plan to take their moment to “surprise” the U.S. I know it’s obvious but I’d like to remark, the crude barrel will spike in case whatever attack is launched. Who profits?.